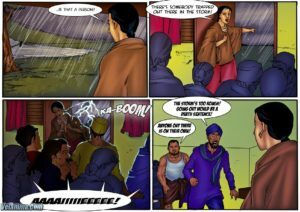 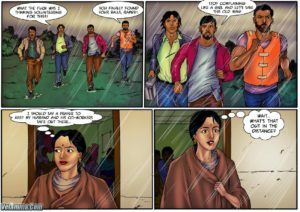 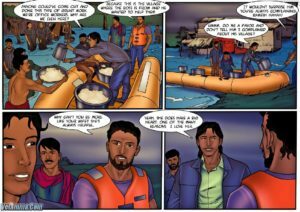 Velamma and Ramesh are in his boss’ village helping the poor when she notices a woman drowning and rushes to help, only to be trapped in the waters herself. 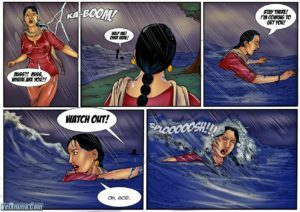 She wakes up on a river bank and meets a woman who claims to have saved her life. 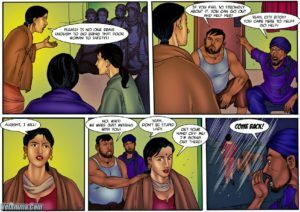 As they take shelter in a Naga temple, Velamma is confronted with a mythical secret.